A two-hour train ride alone with your professor to a federal partnership meeting doesn’t sound like an enjoyable way to spend a Tuesday afternoon to typical students. But neither does swimming down the concrete channel, known as the LA River, if you’re a fish. 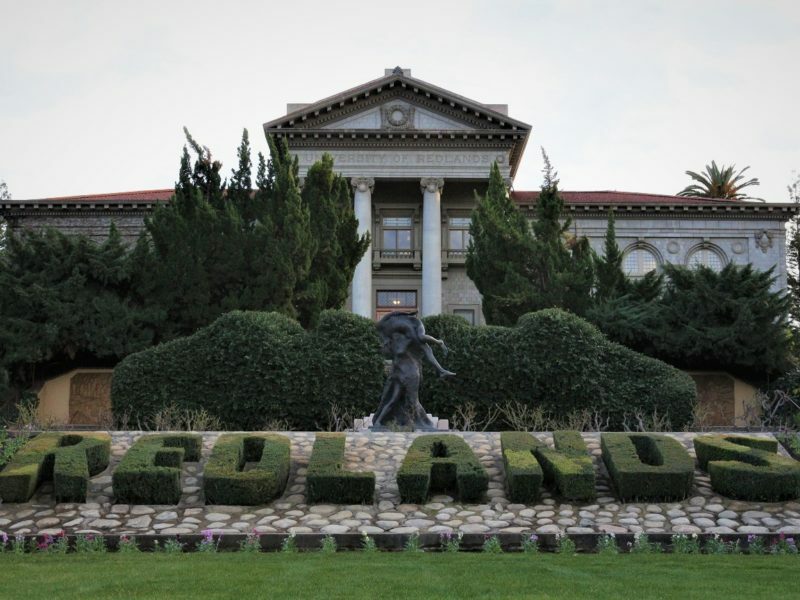 Like many students at the University of Redlands, I had a unique opportunity to apply what I am learning in the classroom in a real-world setting. My environmental planning professor, Shellie Zias-Roe, and I attended the Los Angeles River Urban Waters Federal Partnership Meeting. The meeting featured several collaborators advancing revitalization of the LA River and surrounding communities. 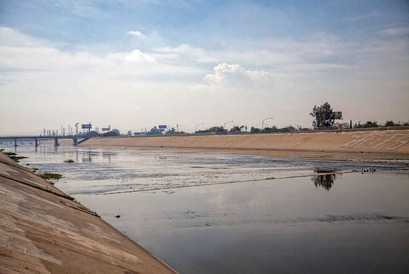 The LA River’s background is important to remember when considering revitalization efforts. Most know the dry riverbed of the Los Angeles River, that winds 51 miles through Los Angeles County, from the iconic car chase in Grease. 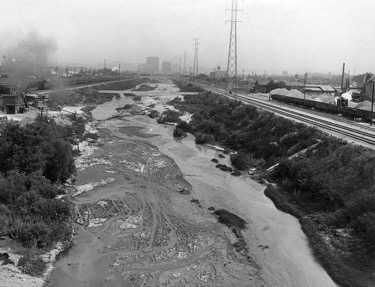 However, the LA River wasn’t always a concrete wasteland. Since birth, the river periodically drowned the city. 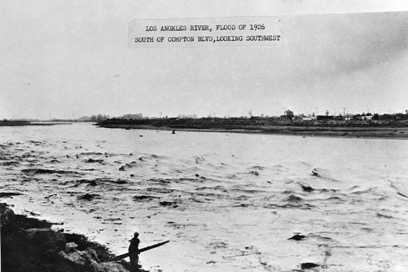 It wasn’t until a devastating flood in 1938 that the U.S. Army Corps of Engineers decided to lower the riverbed, widen the channel and control the unruly river via the 30-mile concrete channel. The city followed its trend of putting development before preservation and loss a diverse ecosystem. Below are pictures of the river before development from the LA Public Library, and recreations made by Peter Bennett from the Los Angeles River Photos Blog. As you can see, vital vegetation and species habitat has been lost. Despite this destruction, there are stretches of the river that were left with a natural bottom. Sections are lined with concrete and plant communities dominated by invasive species, this home to many migrating birds, mainly non-native fish, butterflies, and mammals. There is still an abundance of life along semi-modified portions of the river. Revitalization efforts are underway in Los Angeles to bring residents closer to the water, preserve green space, and redesign land developments along the river. 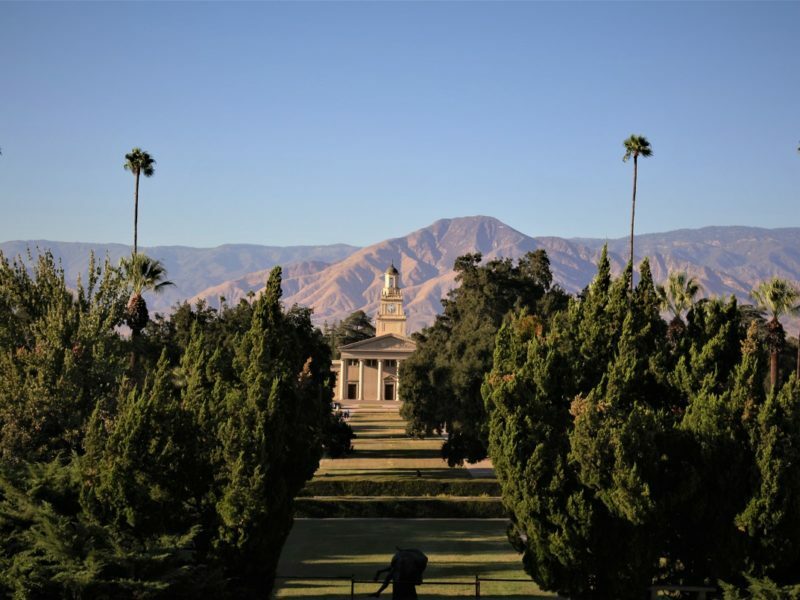 The University of Redlands has a unique opportunity to be a part of the work the Los Angeles River Urban Waters Federal Partnership (UWFP) is doing to improve the surrounding habitat and community. Shayla Funk, a 2018 alum of the university, is responsible for the University of Redlands’ involvement in UWFP. Funk worked as an Office of Environmental Justice intern at the USEPA in Washington, D.C. where she was connected with the head of UWFP. 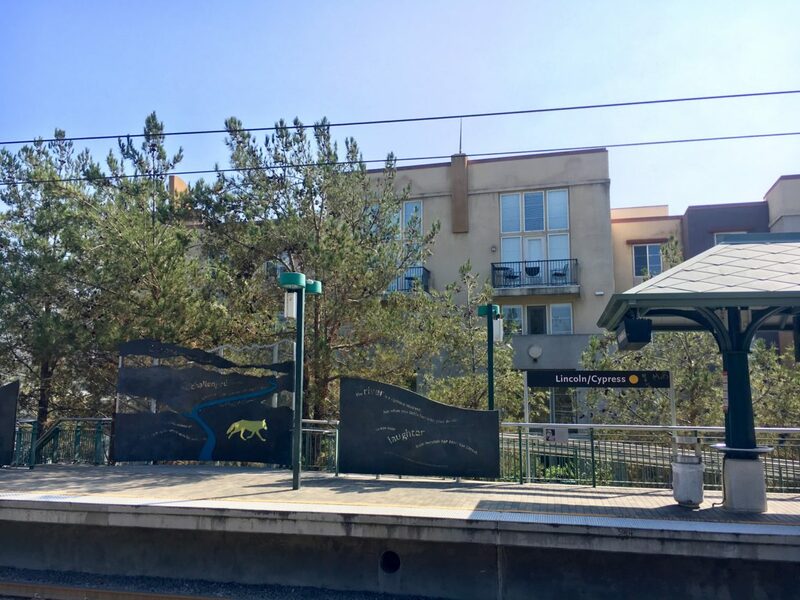 Collaborating with Shellie Zias-Roe, the Center for Spatial Studies, and the LA Urban Center, she created a story map about the Urban Waters Federal Partnership: Los Angeles River Watershed as her senior capstone. 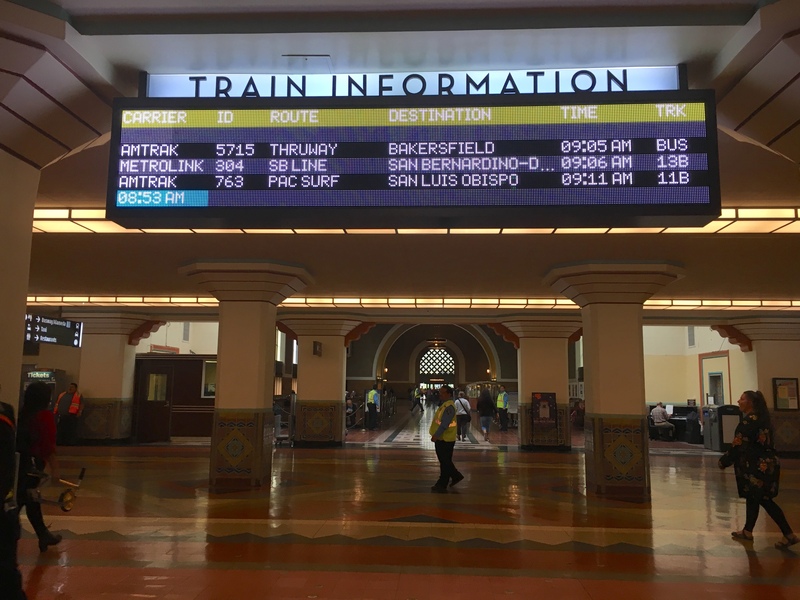 On October 23rd, Zias-Roe and I took the train from San Bernardino to Union Station and hopped on the Metro to the meeting. 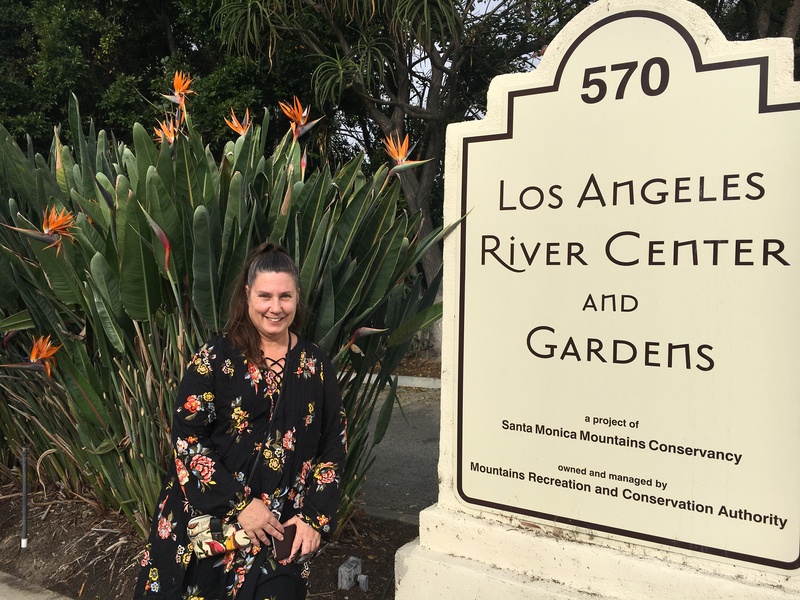 The Urban Waters Federal Partnership Meeting was held at the Los Angeles River Center and Garden (Professor Shellie Zias-Roe pictured). The Federal Partnership Meeting’s theme was collaboration and featured several organizations working along the LA River and in neighboring communities. The National Parks Service, LA Conservation, U.S. Housing and Urban Development, USDA Forest Service, Heal the Bay, The Nature Conservancy, Los Angeles County Dpt. Of Public Works and UC San Diego were just a handful of the attendees. As a student, what struck me most was the ongoing, complex planning and meeting processes that occur behind the scenes. 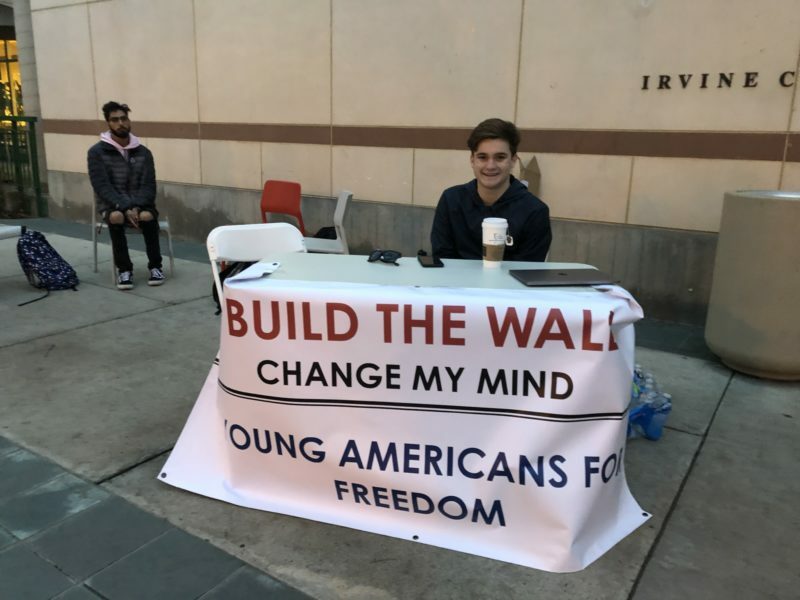 I expected the meeting to discuss LA River Master Plan. Instead, stakeholder expressed what they are looking for in the upcoming design plans and how their organizations can be involved. A clear message to consultants, developers, and the city: the LA River holds the potential to connect citizens to nature and create equitable and sustainable communities along it. Michele Romolini, a professor from Loyola Marymount University, is studying urban environmental networks and presented on The Stewardship Mapping and Assessment Project known as STEW-MAP:, seeking to find, survey and map all the groups and organizations working on urban environmental stewardship. LA County STEW-MAP was launched in 2014, and data collection for stewardship around the LA River will begin next month. This research can aid in understanding the defined activities, networks, and geographical extent of stewardship along the LA River. ASPIRE LA River Quality Group samples water in the LA River and inventories all water quality efforts. This new group aims to unify water data, data standardization, and data collection, and communicate this data to the community. Similarly, Seed LA is also at the beginning stages of development and is working towards establishing a native seed bank in an urban center. The organization’s mission is to increase the regionally available native seeds, educate the public on the benefits of native seeds, and store and collect said seeds. The Los Angeles Regional Open Space & Affordable Housing Collaborative is concerned with the likely possibility of gentrification along the LA River after redesign. 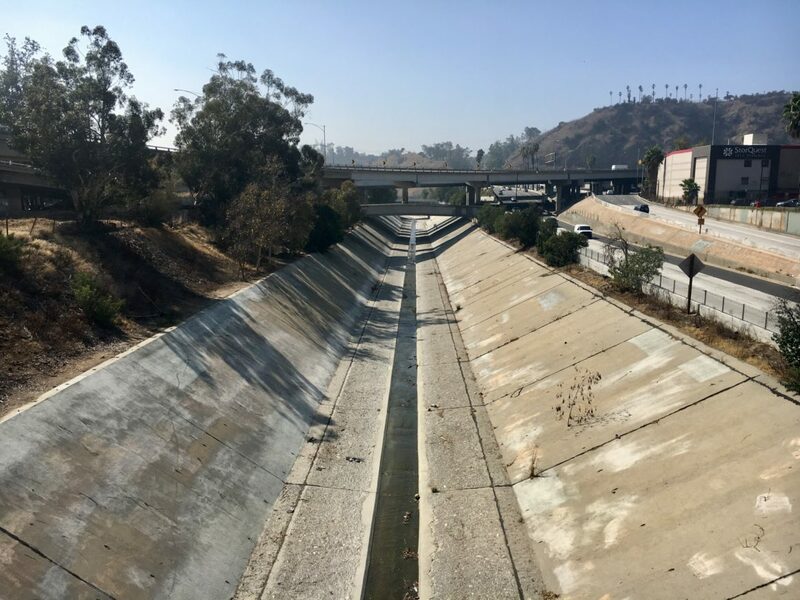 The collaborative does not want the LA River to follow trends of greening urban areas that result in housing displacement from increased property values. To combat these trends and ensure healthy communities with access to affordable homes, parks and open spaces and public transit, they have been researching and developing anti-displacement strategies and integrated housing typologies. This meeting was a blend of public sectors, urban planners, and environmental stewards, and gave me hope for an equitable and more sustainable LA River. View of the LA River as we walk to the Urban Waters Federal Partnership meeting.